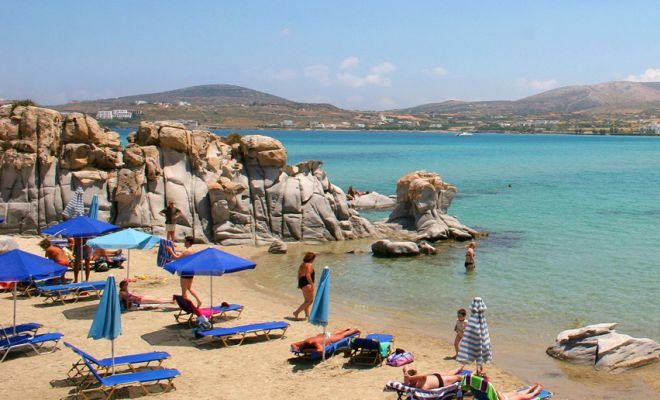 Unrivalled natural beauty, beaches with crystal clear waters, unrivalled Byzantine footpaths connecting traditional villages and breathtaking landscapes make Páros, located at the heart of the Cyclades, one of the best loved holiday destinations in Greece. 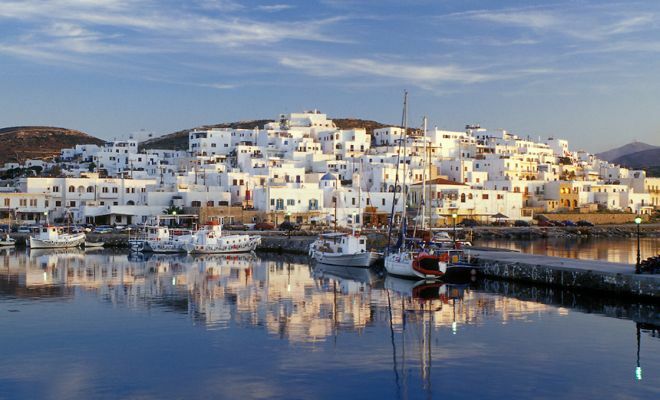 Parikía (Parikiá), the capital of Páros, is a beautiful Cycladic village with whitewashed cubic houses and impressive neoclassical mansions. A well preserved 13th century Venetian castle stands proudly on a hill at the centre of the village offering an amazing view of Parikía. In the capital you can also admire an important ecclesiastical monument, the 6th century church of Panayia Ekatontapyliani, also called Katapoliani. The name “Ekatontapylianí” means the church with 100 gates (“Ekató Pýles” in Greek), one of which is a secret one! Don’t miss the chance to visit the baptistery (4th century AD), one of the best preserved baptisteries in the Orthodox East, and the Byzantine Museum. The Parikía Byzantine Museum is housed on the ground floor of the church. Its exhibits include icons, wood-carved iconostases and other heirlooms from various monasteries and churches on the island. The Archaeological Museum displays exhibits from the island’s monuments (such as the Sanctuary of Asklipios and Pythios Apollonas, Delion etc. ), including part of the "Parian Chronicle”, a chronological table of the 3rd century BC with references to important events and personalities of antiquity. The marble quarries at Maráthi, where the famous Parian marble used to be extracted, were in operation from the 3rd millennium BC up to the 19th century. The mining galleries along with remains of 19th century industrial buildings are still preserved and can be visited! • Wander through beautiful traditional villages like Náoussa, a colourful village, where the ruins of a Venetian fortress stand at the entrance to its small harbour. Léfkes is located at the highest point of Páros and enjoys stunning views of the island. The village is set up in the mountains and is surrounded by a rich green landscape. 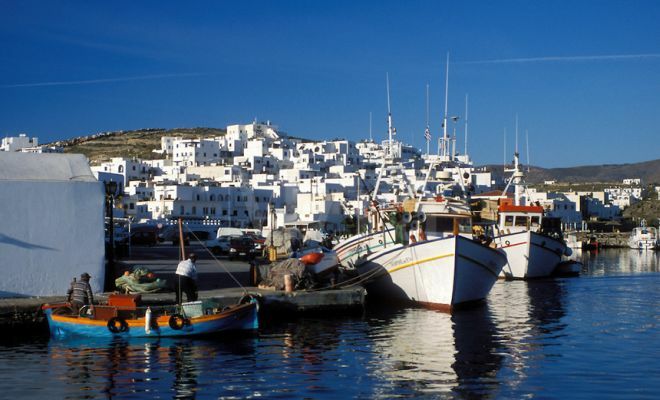 It has very well preserved Cycladic and neoclassical buildings, beautiful squares and narrow marble alleys. The Museum of Aegean Folk Culture at Léfkes offers a tour of the culture of the Archipelago; discover the Aegean world through its exhibits, which include pieces related to the architecture, traditional trades and geology of the islands. • Márpissa, founded in the 15th century, is a traditional village with a distinctive medieval character. It is located on a hill, a few kilometres away from the famous beaches of Loyarás and Písso Livádi. You can also visit the impressive Monastery of Ayios Antonios (17th century) on the hill of Kéfalos, where the ruins of a 15th century Venetian castle stand, and enjoy a wonderful view of the sea. Petaloúdes is an area of stunning beauty near the village of Psychopiana. The habitat is rich in vegetation and running water, with tall plane trees, laurels, wild olive trees, and carob trees covered in ivy that play host to the butterfly species Panaxia quadripunstaria. • The Byzantine Léfkes-Pródromos trail, paved with marble paving stones most of the way, takes an hour to walk. It starts from the verdant village of Léfkes and crosses slopes with cultivated terraces and a small Byzantine bridge. The final destination is to the beautiful village of Pródromos with its impressive maze-like alleys. 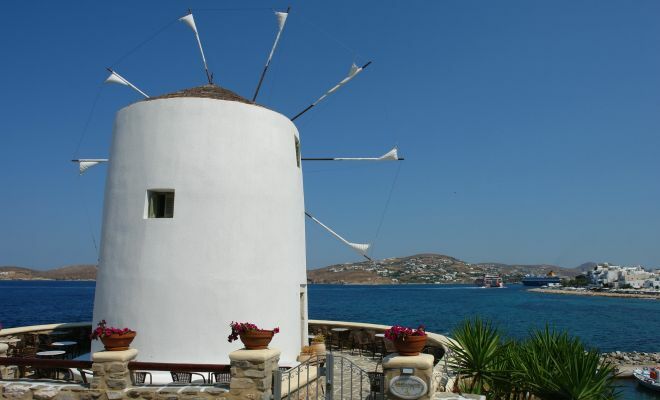 • Starting from the village of Márpissa, with its Byzantine churches, 17th century houses and quaint windmills, walk towards Kéfalos Hill and Áyios Antónios Monastery. Going uphill along the cobblestone path, you will come across the ruins of the Venetian town of Kéfalos and the Castle. At the top, enjoy the view over the eastern part of the island and visit the Monastery of Áyios Antónios with its gold-leaf wood-carved iconostasis. • Alternatively, you can discover the island on horseback! There are two horse-riding centres, one by the sea, at Ambelás, and one at Ystérni. Ride around the coast, along the sandy beaches or take a detour inland – a great way to see for yourself some of the most beautiful spots on the island! Religious festivals are the perfect occasion for many types of festivities! If you find yourself in such an event, don’t forget to taste the sweet smelling wines produced in the island’s vineyards. 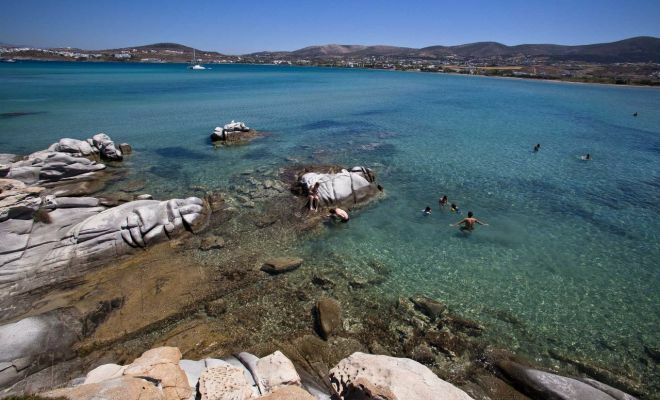 Paros is in fact one of the oldest Mediterranean wine-making areas, with its own protected designation of origin wines! 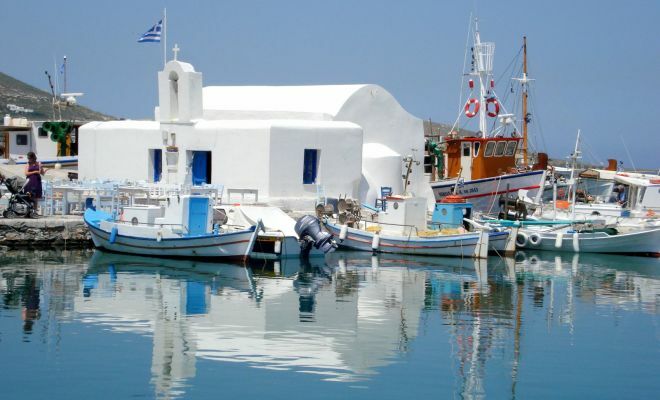 Another perfect occasion to visit the island is during the celebrations on August 15th, when cultural events are organised around the church of Panayia Ekatontapyliani. Easter celebrations are quite impressive, especially in the villages of Márpissa, Mármara and Pródromos. 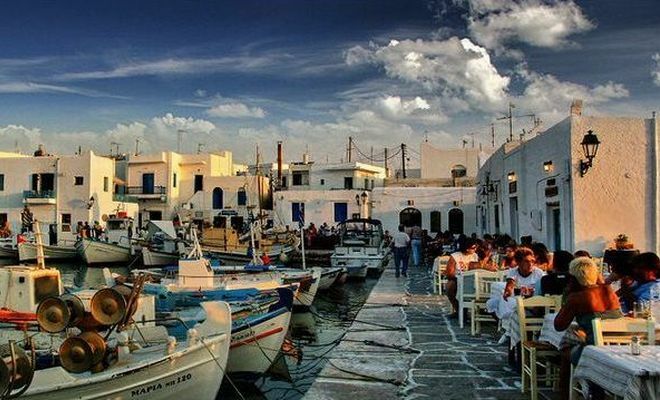 In autumn the locals pay tribute to their “rakidia” a locally made spirit and celebrations culminate in the Feast of Ayios Georgios Methistis, when the new wine made that year is uncorked for the very first time. 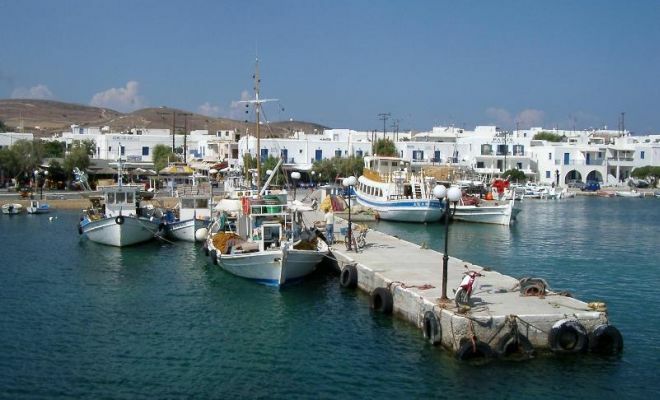 Extra tip: Don’t miss the opportunity to visit the small islet of Antíparos, lying southwest of Paros, which can easily be reached from Poúnda or Parikiá by boat. 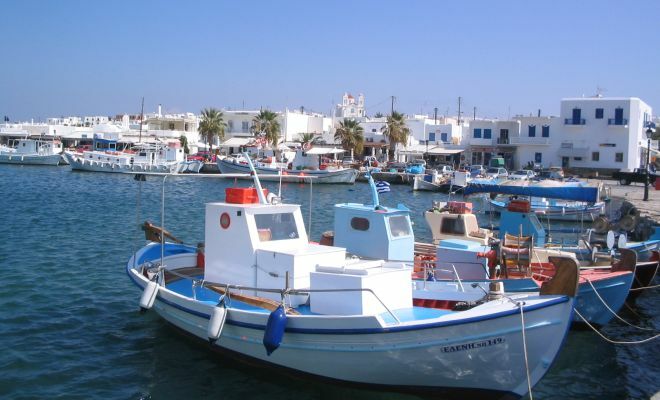 The Hora (Main Town) of Antíparos is built around a 15th century Venetian castle. The stone paved streets, the whitewashed alleys, the houses decorated with thriving pink and purple bougainvilleas and the central square in the shade of eucalyptus trees create an enchanting atmosphere. On Áyios Ioannis Hill lies the cave of Antíparos, distinctive for its marvellous stalagmite and stalactite formations whereas sun-kissed beaches will offer you unforgettable moments of serenity.